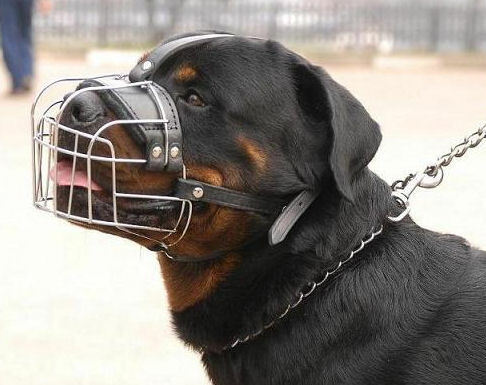 You may think that muzzles are only needed for aggressive dogs but sometimes it is mandatory for dogs of certain sizes or breeds to be muzzled in public places, camping grounds, hotels or boarding kennels. 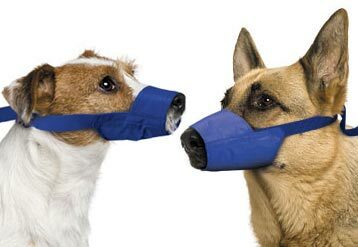 There are many reasons why it’s a good idea to train your dog to wear a muzzle. Socialisation training: Young dogs or new dogs can react unexpectedly with other dogs and people. As a precautionary measure, a muzzle will keep others safe and can help when introducing your dog to other dogs, animals, children and people. Stereotyped breeds: Certain breeds, whether justified or not, are associated with aggressive behavior. The same goes for large breeds – whatever their temperament, some people will feel uneasy around them. Aggressive behaviours: Muzzles are useful when training dogs that have aggression issues although they are not a solution. It’s also important to remember that even the calmest dogs can become aggressive due to incomplete socialisation, illness, pain and fear. Dogs are also experts at sensing people’s nerves and stress, which, in turn, makes them nervous and stressed and may cause them become aggressive. Indiscriminate eaters: Some dogs love to sniff and eat almost anything they come across on a walk, even dangerous items. Grooming and vet appointments: If a dog feels stressed, is in pain or uncomfortable they may snarl and bite. Muzzles are also helpful to stop dogs biting or licking wounds. There is a range of muzzles available. You need to make sure that the muzzle you buy will fit your dog’s snout and that it suits the situation. A basket muzzle which has good airflow and allows the dog to pant and drink is safest. Wire and plastic basket muzzles are recommended for most situations and can be worn for longer periods of time. Other types of muzzles that completely close a dog’s mouth and do not allow them to pant or drink should only be used when for short periods, under supervision and for emergency situations where there is a risk of biting. No dog will want to wear a muzzle at first and they will need to have a positive association with the muzzle. Training them to wear it will take some time and many sessions. First you should allow them to become familiar with the muzzle by smelling it. Using treats as a reward and for tempting your dog into the muzzle will help. Put a treat behind the muzzle so that your dog needs to put their snout into the muzzle. Then you can begin attaching the muzzle for very short periods, gradually having them wear it for longer periods as time goes on. The ASPCA has more detailed information on muzzle training.